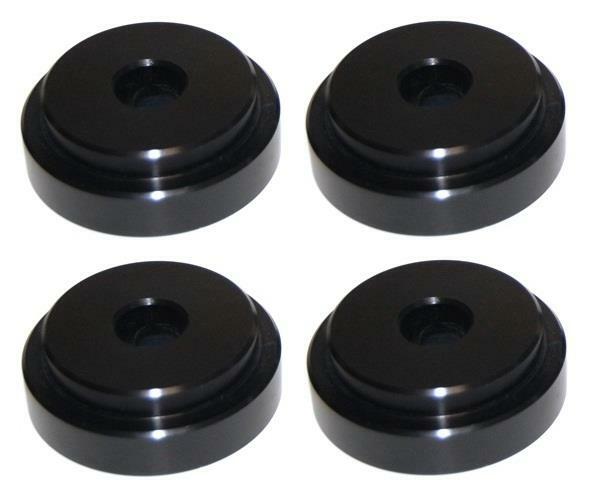 Torque Solution Rear Differential Bushings - Lightning Motorsports - Selling Speed since 1996 ! These Solid Polyurethane bushings are much harder compared to the OEM units. By replacing them with these harder Polyurethane units you are able to get rid of the unwanted slop and flexing of the stock units which allows for the power to go into rotating the tires, instead of flexing the rubber. Giving you better feedback, sharper response, more predictability on throttle input, along with eliminating annoying clunking during hard shifts..
© 1996-2017 Lightning Motorsports · All rights reserved.